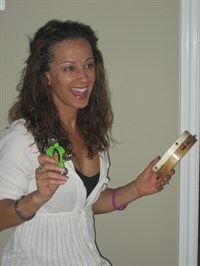 Jenna is currently the center director and teacher at Mini Musicians. She has been involved in music since early childhood. She grew up performing in musical theatre, television and film on both the East and West Coasts. She has performed internationally in Europe and the Middle East. Jenna was awarded Music Together® Certification Level I status, having demonstrated outstanding achievement in teaching, musicianship, program philosophy, and parent education. The award was granted by the Center for Music and Young Children in Princeton, NJ, Kenneth K. Guilmartin, Founder/Director. Jenna is the mother of two children, Isabella (12) and Gabriel (10), who continue to make music at home and all around, even to this day! She is very passionate about young children and their musical development and is looking forward to working with your family soon!